Aminata Kamara, age 37, was disabled by polio as a child. 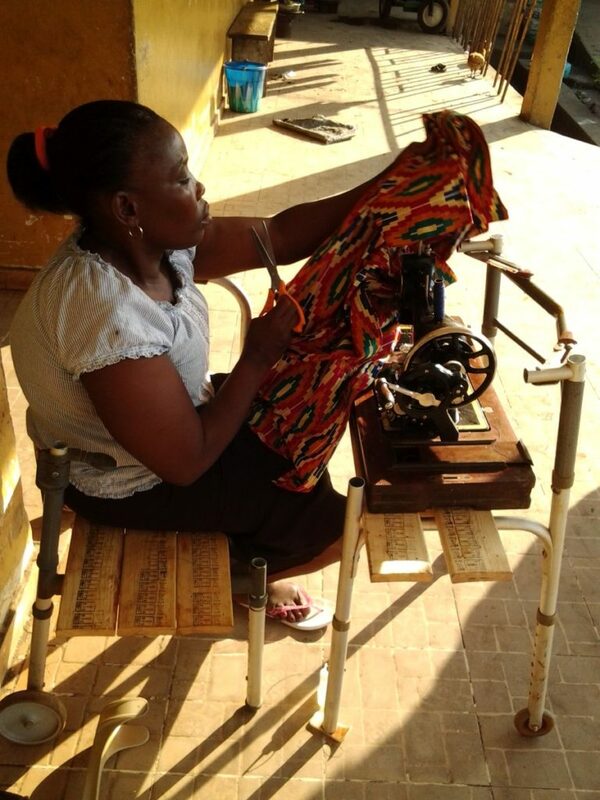 Some years ago Aminata earned a certificate in tailoring at a vocational school, but she never managed to acquire a sewing machine. She could only do piece- work in other tailors’ shops, and only if a machine equipped with a hand crank was available. Africa Surgery gave Aminata a sewing machine designed to be powered by hand which was donated and shipped from Holland to Sierra Leone. 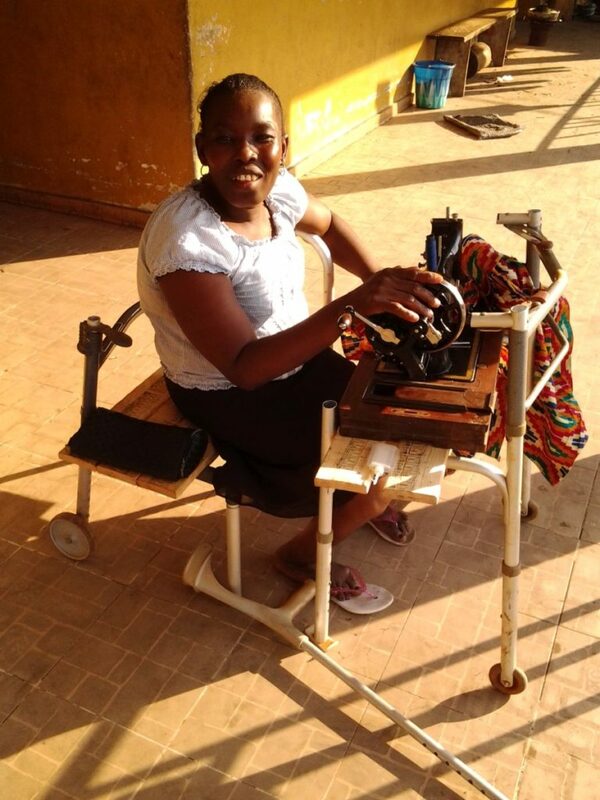 Africa Surgery also designed and built an adjustable table and chair for her, using two surplus walkers and some surplus boards. Aminata, who lives with her husband and two children at a settlement for polio victims in Sierra Leone, now works from home.